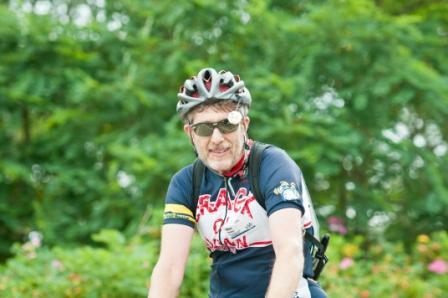 Welcome to my 32nd Pan Mass Challenge ride letter. The ride took place on August 4th and 5th. As per usual (okay, per always), here’s a bit about what’s been going on in the Stoler household. Let’s start with Karen. Big news. Retirement is on the horizon. This time for real. She’s been threatening to call it quits ever since I retired three years ago but has been hanging on for many good reasons. That said, her official last day is at the beginning of winter break in December this year. One semester to go! It will be the beginning of a new era in our lives, life without any work commitments and we’re very excited. 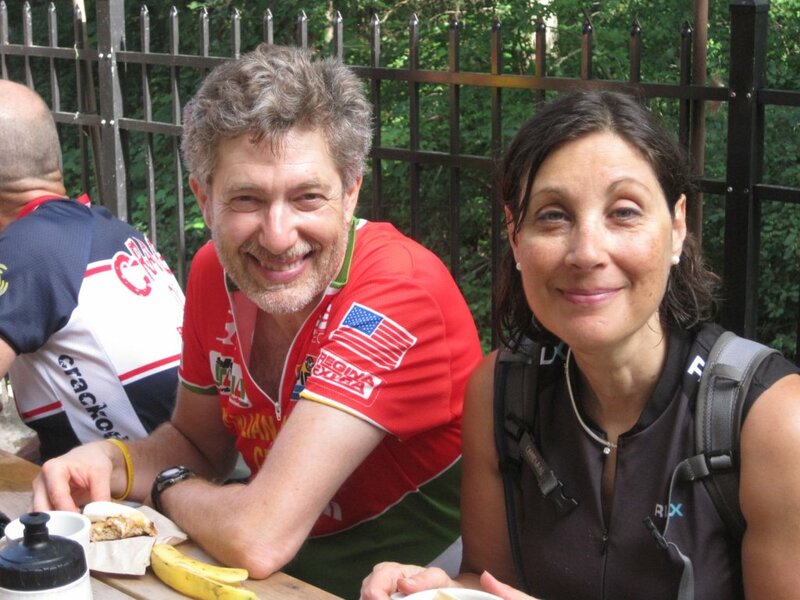 Adam and Annabel married 14 days before my PMC ride! We’re so happy and thrilled about this union and had an amazing time at the wedding in Kentucky. They recently honeymooned in Paris, Zanzibar and Tanzania. Karen and I, and Keith and Leesa, Annabel’s parents, are beside ourselves with joy, excitement and blessings for our beloved children. Ari finished his second year teaching mathematics at St. Andrew’s School in Boca Raton and has signed on for another year. With time on his hands and two wheels at his disposal, he rode from Brookline to Lexington (the one in KY) for the wedding. 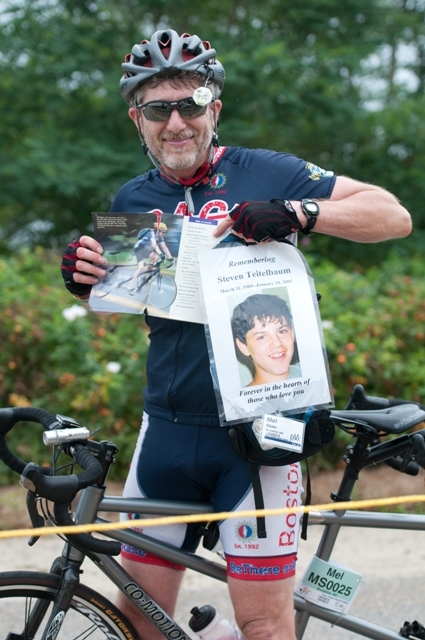 His route included visiting family and friends along the way and he rode all of Skyline Drive and the Blue Ridge Parkway. More about Ari in a moment. And what have I been up to? More of the same which includes my commitment to continue donating platelets at the Dana Farber Cancer Institute every two weeks. As of this writing I have 472 donations under my belt or should I say, taken from my veins. I also continue to volunteer at the Brigham and Women’s Emergency Department every two to three weeks. Never a dull moment there. Another activity that is high up there on my list of meaningful endeavors is my temple's work with the Syrian refugee family that began a year ago. I’m lucky to be part of a wonderful team of volunteers that collaborates closely with a sponsoring agency to ensure that the family continues to receive many critical services. A few months ago Karen joined the team as an English as a Second Language (ESL) tutor and has developed a strong bond with the parents who are so grateful and appreciative of our efforts to support them through many challenges. And there’s my time spent as a courier picking up and delivering stem cells (and occasionally skin grafts). Earlier this year I was fortunate to have pickups in Jerusalem and Tel Aviv. I also went to Belgium for the first time and spent time in Leuven, Brussels and what's the name of that city that's often compared to Venice? Right, Bruges! I had a full day walking tour there too. And a recent Chicago trip yielded the opportunity to visit a dear friend I have not seen in a long time. Just in case you think I never go anywhere with Karen, she and I had a very memorable trip to Ecuador in March, the highlight of which was our six nights on the Galápagos Islands. Travel as a Global Services member on United Airlines makes what can be a stressful unpredictable experience a much better one. Apologies to all of you who have been dragged off a United flight. I’m fortunate to still be riding my fixed gear bike with wonderful friends and loving that most days the weather has been good and the days are longer. Recently I joined a group of 12 to the summit of Mount Wachusett in Princeton, MA, a little over a 100 miles with some very steep climbs. Last month I organized a ride from my house to Provincetown joined by a few hundred other cyclists who rode 85 miles or 125+ miles as I did! And for all the good things in my life, and I know there are many, there is sadness and grief as well. On April 29th, Sean Williams died suddenly and unexpectedly. One of our closest cousins. More like a nephew. Thirty-three years old and engaged to be married in October. Fiancee of Britanny. Brother of Kerri. Son of Janet and Mark. Our hearts ache. And that brings me back to Ari. Ari who defies convention. Ari who could do X but chooses Y. Rides cross country on a fixed gear bike without support. Juggles and plays table tennis beyond what you or I could achieve with 24/7 instruction. And whose heart is filled with love and sadness for Sean's untimely passing. 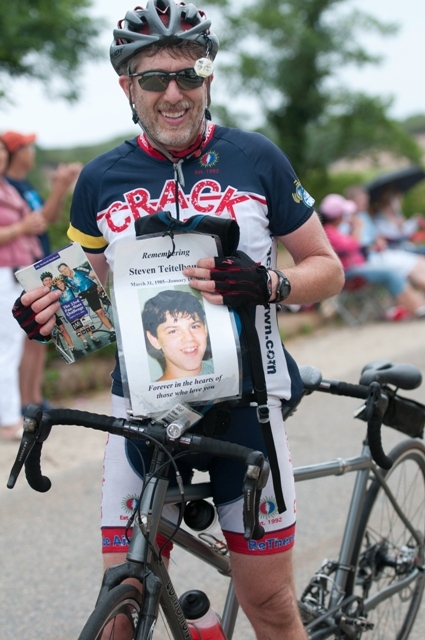 Ari signed up for his first Pan Mass Challenge and is riding in memory of Sean. Please read his letter here. If you can support both of us this year, my heartfelt thanks. If only one of us, please support the next generation. My goal is to reach Heavy Hitter status of $8,000 this year. 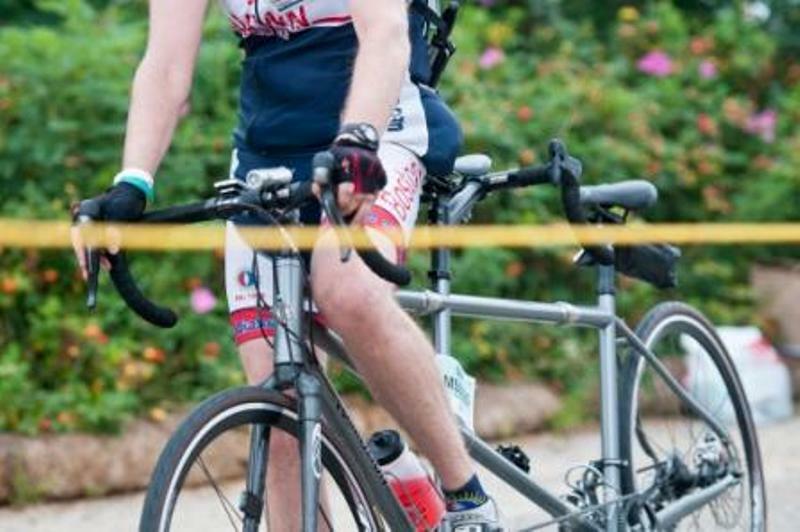 PMC donations are tax deductible and an amazing 100% will go to Dana-Farber Cancer Institute. 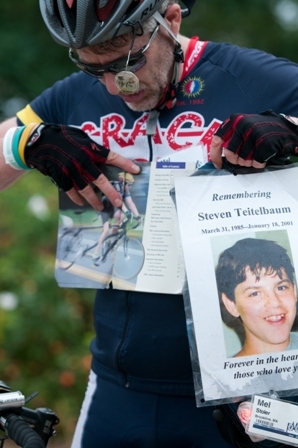 The Pan-Mass Challenge only uses your personal information to thank you and will not share it with any other organization. You can also mail a check made out to PMC-Jimmy Fund to me or Ari at 9 Coolidge Street Brookline, MA 02446. Every donation brings us closer by the mile. I am grateful for you support. Thank you and very best wishes for a happy and safe summer.